Up to five seats plus wheelchair. Wheelchair access via automatic tail lift. Additional seating and/or wheelchair positions available within the range. Please enquire for details. All cash prices assume exemption from Road Fund Licence and VAT and include delivery to your home anywhere on the UK Mainland. Bristol Street Versa reserves the right to alter or modify the specification at any time without prior notice. The beauty of the Renault Trafic is its versatility. The vehicle comes as standard with a double front passenger seat, which can be swapped for a single front seat as an optional extra from Renault. In the rear, using our standard conversion methods, up to three rear seats can be fitted with space for either one or two wheelchair positions. 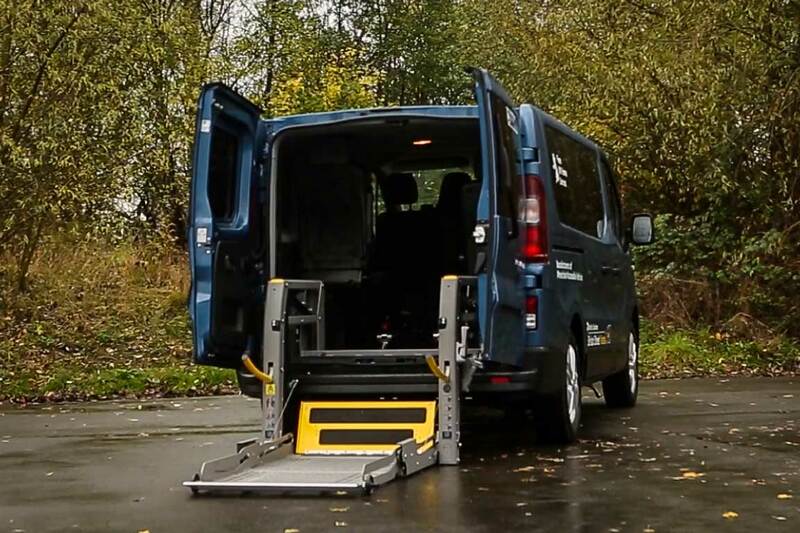 Using a Smartfloor system, it is possible to accommodate up to seven seated passengers (including the driver) and one wheelchair occupant or up to nine seated passengers if the wheelchair occupant isn�t travelling. All the seats we supply are full size seats, thereby assuring all passengers of the most comfortable ride. Rear seats also have the added options of ISOFix mountings, recline functionality, the ability to be detachable or to tip and fold away when not in use. There are also two possible seating positions for the wheelchair user. Whatever layout and seating requirements you are looking for, the Renault Traffic assures you of choice and flexibility to best suit your requirements.